I'm so happy that I'm staying somewhat on top of my scrapbook this year! I've been planning it for a long time, it's nice to finally execute it. I love how week four turned out. 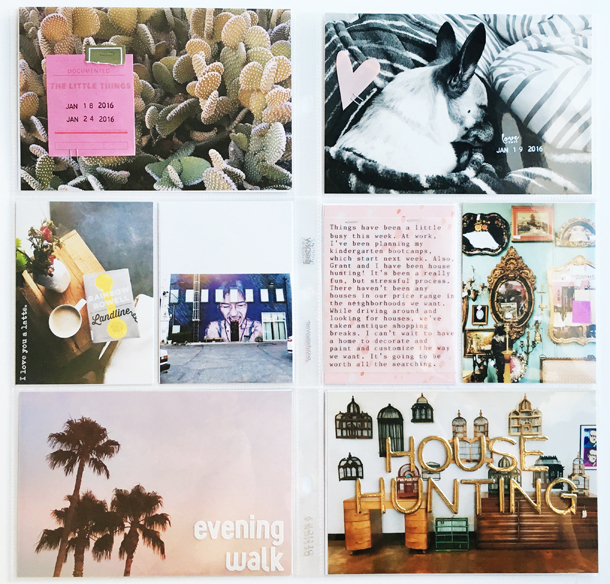 A lot of the photos had a pink hue to them, so I add more pink to make the week more cohesive. I love it! I also had fun playing with my white ink pad. The photo from antique shopping didn't really match and I had a hard time figuring out what I wanted to do with this photo. I left it alone for a little bit and then came up with the idea of using large gold thicker alphas on top. And I'm really happy with how it turned out! It adds a lot of texture to the page. I just love it! I kept this week pretty simple and let the photos tell the story. I added a couple small stamps in white ink and alphas for texture and to document what was going on in the photo. 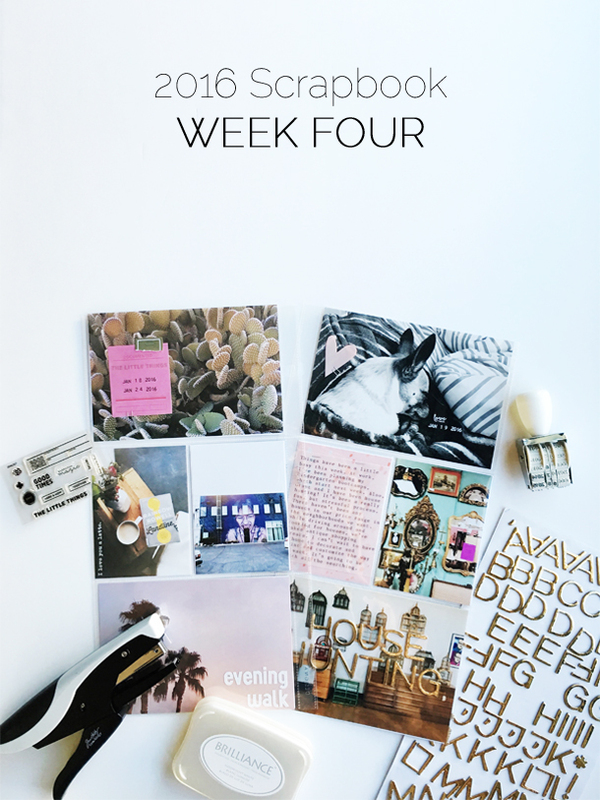 Like previous weeks, I used the type writer to create my journaling for the week. Hello Laura, I love it! Especially your journal entries using a typewriter…Ive always wanted one! 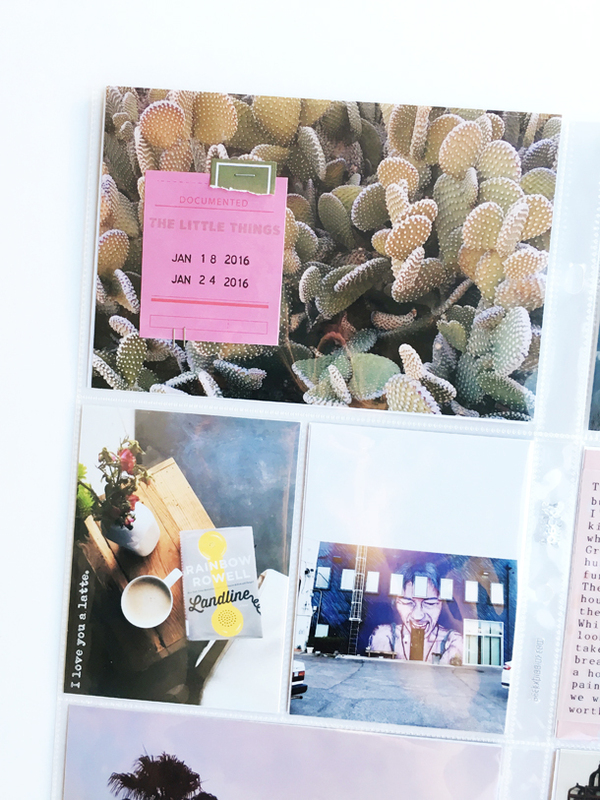 Are you planning on scrapbooking every week for the entire year?! Thats a pretty lofty goal, I bow to your follow-through and creativity :b. As for me, I have a few projects in the works… Ive decided the month of march will be my “no evening t.v experiment”.. so far Ive accomplished a lot in that otherwise wasted time! Like finally committing to using all my yarn up and knitting a (poorly constructed) blanket… I also always have a short story or “writing” related project in the works. This season, Im focused on collecting stories from people, (loved ones, friends, strangers). Its been fun so far! Sorry this comment is so meandering, but I could talk projects all day long ;). Hope you have a lovely evening. 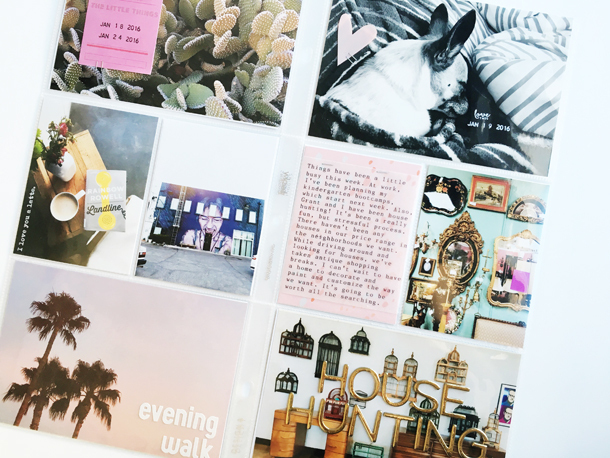 I cant wait to see more scrapbooking goodness!